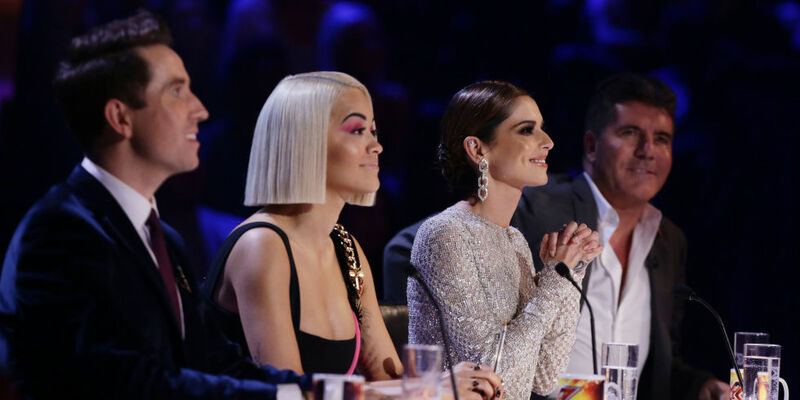 It's Movie Week for The X Factor and now tonight's (November 10) chosen tracks have been confirmed. Last week's show didn't exactly run too smoothly, with a massive audio glitchcompletely ruining several of the performances, not to mention it's poorly-timed Halloween theme raising many an eyebrow. So let's hope these cinematic inspirations can breathe new life back into the contest. First up, we have the songs chosen by Bella Penfold, Scarlett Lee and Shan Ako. Bella will be dazzling audiences with 'A Million Dreams' from The Greatest Showman, only she'll be performing Pink's version. Shan is also taking a song from Hugh Jackman's hugely popular musical, titled 'Never Enough', and Scarlett is giving us 'I'll Never Love Again' from the soundtrack to Oscar-tipped A Star is Born. As for the two Groups, Acacia and Aaliyah will be performing Destiny's Child classic 'Survivor', which featured in this year's video-game adaptation of Tomb Raider. Misunderstood have chosen 'Maniac' from 1983's Flashdance. Meanwhile, the seemingly cursed Danny Tetley – who's been affected TWICE by the show's technical faults – will be submerging himself in Celine Dion's Titanic gem, 'My Heart Will Go On'. The other Overs candidate, Giovanni Spano, is the third singer to rip a tune from The Greatest Showman, as he'll perform 'The Greatest Show'. Louis Tomlinson's Boys haven't disappointed with their choices, with scouser Anthony Russell set to trade blows with Survivor's Rocky classic 'Eye of the Tiger' and Brendan Murray offering a rendition of REM's 'Everybody Hurts'. Let's not forget The X Factor's current favourite to win, Dalton Harris, who's set to show off his pipes with his version of 'California Dreaming' by Sia from San Andreas.